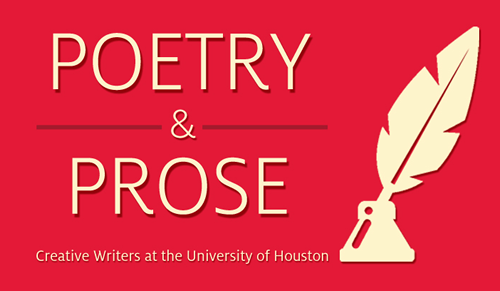 Poetry & Prose is a reading series featuring UH faculty, students, alumni and other well-known writers, that happens right here on campus. All readings take place in the Honors College Commons at 5:30pm, located on the second level of MD Anderson Library. Readings are free and open to the public. Light refreshments are served. The series is presented by the University of Houston Libraries, in cooperation with the University of Houston Creative Writing Program. An archive of past readings is available on this archive blog. Video recordings of past readings are available on YouTube.